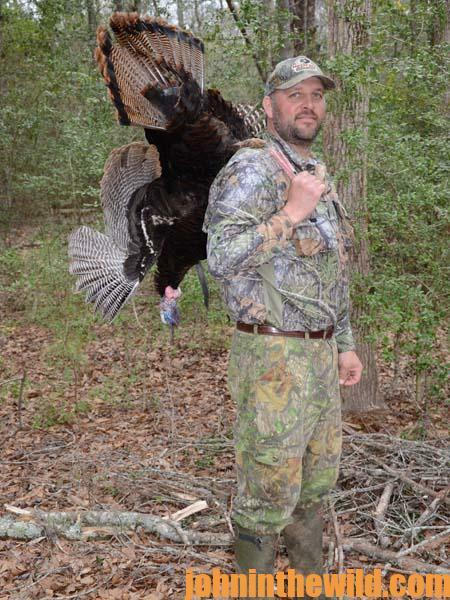 John’s Note: Scott Hendry of Livingston, Alabama, has been turkey hunting for more than 30 years and has been guiding at Bent Creek Lodge (www.bentcreeklodge.com) in Jachin, Alabama, for more than 20 years. 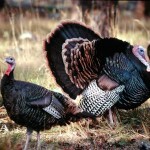 When I was about 14-years old, I started hunting a turkey that lived behind my granddaddy’s house. My Granddad and I hunted that turkey for 3 years but never killed him. That tom never roosted in the same spot, but he would gobble every morning just before daylight. My Granddad and I were so obsessed with that turkey that we allowed him to nearly ruin all 3 years we hunted him. Every morning when we heard him gobble, we’d go to him and try to call him in to us. That turkey taught me to be patient and to wait on him to come to me. I’d consistently think the turkey had left me when he quit gobbling, so I’d get up and move. That ole gobbler had a PhD in hunter dodging. That bird had determined that the longer he waited to come in to calling, the sooner he’d see me. For 3 years, that turkey spotted me just about every time I hunted him. I was young, I was anxious, and I didn’t have enough patience to let the turkey present the shot. 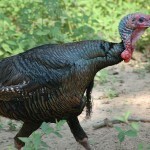 If I ever had a teacher that taught me patience, it was the gobbler behind Granddad’s house. I probably spooked that turkey at least two times every week during three years of hunting seasons. That ole gobbler taught me the three tools: I was calling too loudly, too much and too quickly. I believe that tough tom probably knew who made my turkey call I used, every time I called to him. He more than likely died of old age. 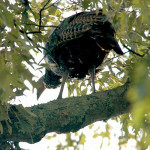 From that ole tom, I learned to call less, call quieter and not to call back to a gobbler as soon as he gobbled to me. This hunt happened about 8 or 9 years ago. I had a friend and his son with me, who never had killed a turkey. 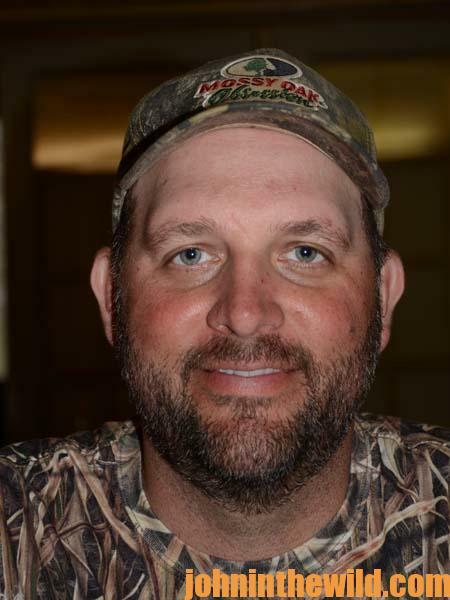 He called one night and said, “I’ve got a turkey roosted. 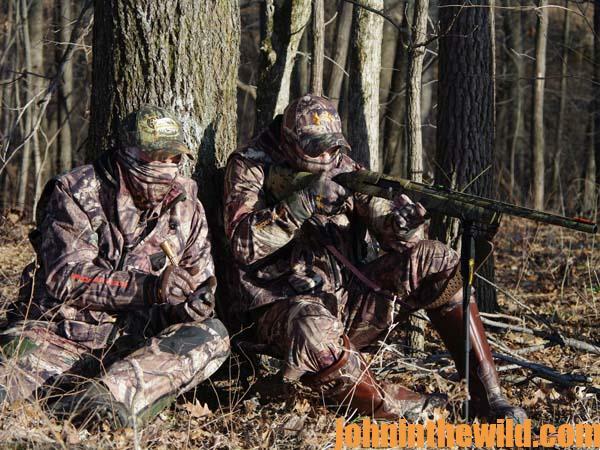 If you want to go with us in the morning, we’ll try and take that bird.” I met my friend and his son early the next morning, and we went to a long power right-of-way that cut through the woods. We set-up just off the edge of the power line. 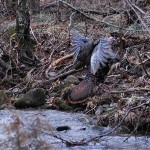 This hunt took place the first year that the State of Alabama allowed turkey hunters to use decoys. So, I put a turkey decoy in front of us before first light. As daylight started to arrive, that ole bird began gobbling. Once the sun first peeped out of the black cover of darkness, I heard the turkey fly down to the ground, about 300 yards from us on the right-of-way. I stood up behind my two hunters and yelped loudly. Through my binoculars, I saw the tom pick his head up from where he was feeding on newly sprouted grass. 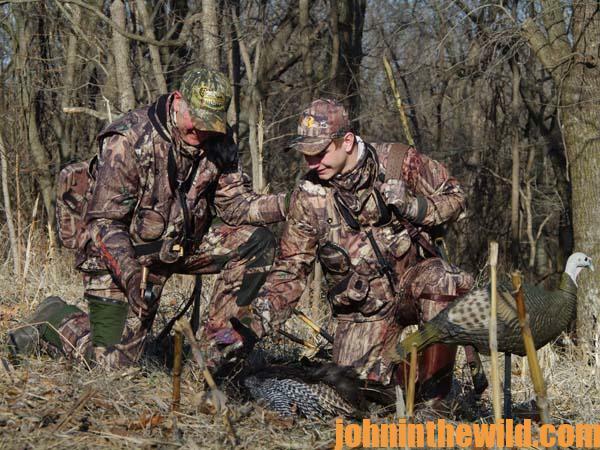 When the gobbler spotted that hen decoy, I watched him shift his body into high gear. That bird ran as hard and as fast as I’d ever seen a turkey run, but finally slowed down his gait as he closed ground to the decoy. When the turkey was 15 steps from the decoy, my friend’s son squeezed the trigger. The turkey was flipping and flopping like a rubber chicken. I videoed the entire hunt. Although that day I didn’t hear what was said, when I watched the video, I heard the Dad whisper, “Look at how big that turkey’s beard is!” And, the celebration after the shot was one I’ll never forget. We all gave each other high-fives and big hugs. That youngster was as excited as any hunter I’d ever taken to his first gobbler. For me, the best part of any hunt is after the turkeys down. I’ve seen grown men get so excited they start crying, throwing up and hugging everyone within arm’s reach. I’ve learned that taking a turkey creates so much joy, enthusiasm and excitement in my hunters that for me it’s like winning a race. I want to be there and experience my hunter’s joy every time I take someone to a gobbling bird. 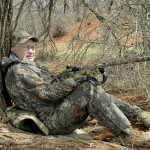 To learn more about turkey hunting from the masters, get these Kindle eBooks and print books by John E. Phillips, including: “The Turkey Hunter’s Bible (available as an eBook or in paperback),” “PhD Gobblers: How to Hunt the Smartest Turkeys in the World,” “Turkey Hunting Tactics,” “How to Hunt Turkeys with World Champion Preston Pittman,” “The 10 Sins of Turkey Hunting with Preston Pittman” and “Outdoor Life’s Complete Turkey Hunting.” Click here to get these books.